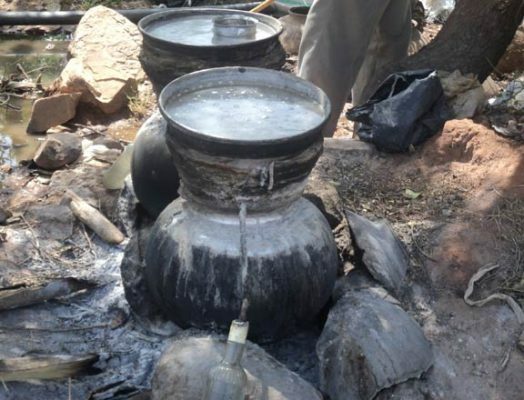 Karimnagar: Production of gudumba (illicitly-distilled liquor) is rampant in erstwhile Karimangar district. Some people who have expertise in ID liquor manufacture have resumed the production again in the wake of elections. People especially tribals, who opted for gudumba production as profession, had stopped the practice following the Telangana government’s special drive to eradicate gudumba from the State, including a rehabilitation package. However, some of the old-timers took to ID liquor production to make a quick buck during the election season which saw polls to gram panchayat, Assembly, MLC and the recently-concluded Parliament polls. Rural poor and slum-dwellers are the main source for political parties’ rallies and public meetings. Each person gets paid Rs 200 to attend public meetings, rallies and roadshows. A majority of the poor spend the amount on liquor consumption. Taking advantage of the situation, some old-timers began gudumba production at the time of gram panchayat elections and are continuing with it even now, an excise official told Telangana Today on condition of anonymity. At the time of gram panchayat polls, Karimangar excise task force police conducted raids in Challur of Veenavanka mandal and seized 15 litres of ID liquor. 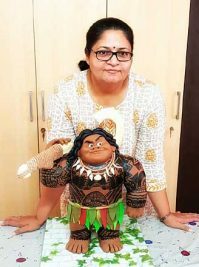 Two women Kuncham Pochamma and Bongoni Kanakamma were arrested. In another incident, Sultanabad excise cops conducted raids in Kadapur and Shanthinagar and seized 5 litres of gudumba and 300 litres of jaggery juice. According to Excise Department statistics, 10 litres of ID liquor and raw material was destroyed in Alianagar Thanda in Raikal mandal and registered case against Mudi Thirupati on February 19. Similarly, 14 litres of gudumba and 160 litres of jaggery juice was also found in Banjerupalli thanda, Kothapalli thanda and Katikenapalli of Dharmaram mandal. Besides 18 litres of gudumba, 600 litres of jaggery juice was found in Rajunaik Thanda, Laxmidevipalli thanda of Raikal mandal in on February 25. Two cases were also registered. On March 3, siv litres of gudumba, 550 litres of jaggery juice was found in Kalikotabanda Thanda, Potharam of Kathalapur mandal of Jagtial district. Excise cops seized 14 litres of ID liquor and 160 litres of jaggery juice in Banjerupalli thanda, Kothapalli thanda and Katikenapalli in Dharmaram mandal on March 19. 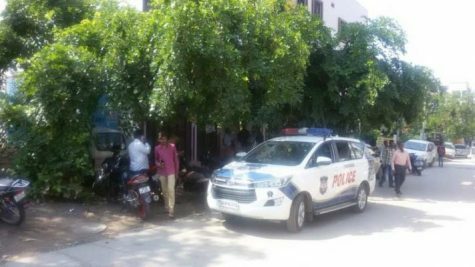 Raids were also conducted in Sultanabad, Odela, Devunipalli, Kolanur and Gopalapalli and registered cases against two persons. An excise officer on the condition of anonymity said that in Huzurabad limits, gudumba production was high in Ganpur thanda, Akunur thanda and Raikal thanda of Saidapur mandal. It is rampant in Challur and Veenavanka in Jammikunta area. Korutla, Sultanabad, Peddapalli, Dharmapuri, and Husnabad areas of erstwhile district were major centers for ID liquor production, he said. In order to eradicate gudumba menance from the State, Telangana government had taken up special drive in the year 2016. Awareness programmes and rallies were also organised by involving all government departments to educate people about ID liquor. store, 10 hotel, 22 tent house, nine vehicles and 43 others were grounded by spending Rs 8.78 crore. Excise Department had also banned the sale of jaggery and pattika in kirana stores and also registered cases against some of the shop owners. However, now nobody is following it. Another excise officer said pattika, which plays a vital role in the preparation of ID liquor, was available in Karimnagar Gunj market. Pattika, which was earlier used as after shave, is presently not used for any other purpose except manufacture of gudumba. Pattika is being transported to Kamareddy and other areas through Karimangar town, he said. People those who have not been covered under rehabilitation package have begun gudumba production, the official said.